A multiple use water system (MUS) is an improved water resource management approach, which taps and stores water and distributes it to farm households in small communities to meet both domestic and productive needs. iDE Nepal has positioned MUS as a replacement for existing systems that are typically designed, managed and financed for a single use. 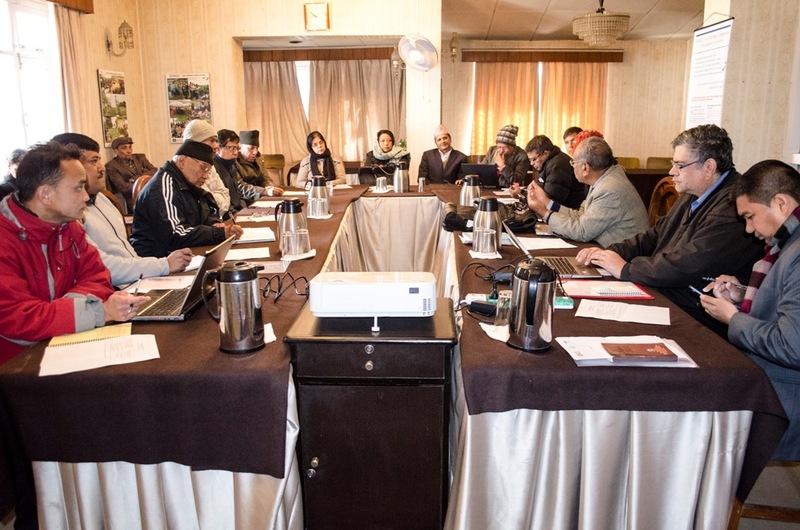 iDE Nepal is considered an authority on MUS; its program is recognized by the IWMI and the MUS Group as a leading application of the MUS approach. 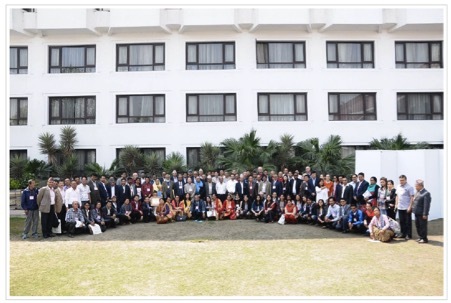 On 11-12 April, the Farmer Managed Irrigation Systems Promotion Trust held its 7th international seminar ‘Irrigation in local adaptation and resilience’. Participants of the 7th International Seminar of FMIST. One session, chaired by Mr. Som Nath Paudel, focused entirely on MUS with the following presentations/papers. Dr. Barbara van Koppen. Upscaling MUS at Global Levels. Dr. Sanna-Leena Rautanen. Local Financing for Functionality Sustainability and Service Level Improvement – An Opportunity for MUS? MUS approaches improve on systems designed by communities by providing broader modern technology choice and other support. When communities invest in infrastructure, they seek to meet multiple uses by using and re-using multiple sources, mainly through multi-purpose infrastructure as the rule and single-use designs as the exceptions. These widespread selfinitiated and self-reliant MUS initiatives by communities need to be better recognized and documented. The public sector needs to ‘think MUS’ and systematically document that MUS happens anyhow: systems designed for a single use are in reality used for non-planned uses as well, even at very low service levels. The creation of a fund that is directly accessible for communities will trigger innovative and creative leaders to mobilize these local assets and required support for more sustainable water supplies, health and wealth. 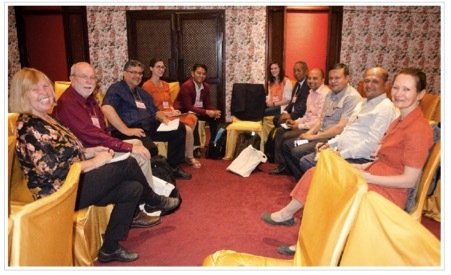 The implementation of MUS continues to expand in Nepal, both within the WASH sector and within the irrigation sector, and is followed with interest by the Nepalese government, in particular the Department of Irrigation and the Department of Population and Environment. The latter’s National and Local Action Plans for Adaptation provide new opportunities for MUS. The multiple benefits of MUS for communities are consistently confirmed, not only qualitatively but also through rigorous impact evaluation, for example the impact evaluation of IDE’s Market Access for Water Technologies for Women project (MUS and value chains). This found that MUS households earn USD413 more than control households. Similarly, the higher benefit cost ratio of investments in MUS compared to single-use systems is also consistently found. Nepal’s national Water Use Management Plan consists of 17 transparent steps to assess water resources, existing multiple uses (drinking, domestic, poultry, other livestock, irrigation of many crops, fisheries like trout farming, hydropower, water mill, etc) and socio-economic conditions; to identify potential MUS projects at different service levels in a participatory manner; and to choose and implement a particular project, all in collaboration with the Village Development Committee. While the WUMP originally focused on the development of water for domestic uses, the holistic planning process in collaboration with communities and decentralized government structures fully fits MUS approaches, and provides important new opportunities for MUS. It is vital to address intra-community and intra-household equity and conflict resolution issues, also for sustainability. Some projects already practice affirmative action to effectively reach the unserved and the most marginalized. Reaching women is also important because of massive male outmigration. This leaves the women behind who traditionally lack secure access to land, water technology, and access to village decision-making. A growing problem is the drying out of the water source (spring, stream). Water in the catchment areas of water systems needs to be recharged. Recharge and overall watershed management aspect needs to be more integral part of MUS thinking – the emphasis cannot be on “USE” only. Growing competition for water resources renders equity considerations even more important. Formal registration as the only consideration risks excluding the marginalized. On the other hand, when water resources are sufficient, households’ increasing wish for yard connections are opportunities for MUS. While some participants thought that the technical design of MUS was more complicated, others thought it was similar to the single-use systems. Quantities of water used per household tend to differ in MUS; therefore, it may be needed to link water fees to the quantity used. The same applies to the capital expenditure itself: in many water schemes the same contribution is expected from all, but not all may benefit in the same way. Linkages with markets, as in IDE’s collection centres, are crucial as incentive for more productive water uses. The most important next step for MUS in Nepal is the further institutionalization of MUS in government structures and the private sector. MUS is still perceived as a donor-driven concept instead of improvements on communities’ designs that also ensure sustainability and self-reliance. Some government departments, including the Department of Irrigation, the Department of Population and Environment and the Department of Local Infrastructure Development and Agricultural Roads (in its guidelines for block grants) support MUS approaches. However, the single-use headings of budgets at local level in the siloed set up of the public and donor sectors still discourage a choice for MUS. As the MUS approach is anchored in people’s practices and needs, the key question is how to ensure that funding and other development support is genuinely put in people’s own hands, both for new MUS or repair of dilapidated schemes (‘retrofit MUS’). Rapid response and mobilization of own resources or (soft) loans for self-reliance are key. This requires the (further) piloting of innovative and transparent forms of organization, rules and procedures (e.g. competitive, output-based financing) and capacity building. Last but not least, far-reaching changes are currently underway in Nepal with the upcoming first local government elections since 2001, and with the ongoing replacement of the constitution and overhaul of the government structures into further decentralized ‘Gaupalikas’ (rural municipalities in which the former Village Development Committees become wards; the districts disappear) and ‘Nagarpalikas’ (urban municipalities). This further decentralization is fertile ground for MUS.